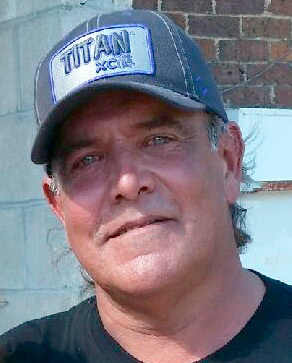 LOHRVILLE — Daniel “Dan” Powell, 56, of Lohr­ville, passed away Sat­urday, April 6, 2019, at Stewart Memorial Hospital, Lake City. Dan is survived by his children, Dennis Paterson of Anthon; Diana Heath of York, NE; Danielle Powell of Anthon; Derek Powell of Correctionville; Daniel Powell and D.J Powell, both of Otho; 19 grandchildren; mother, Gloria Strange Underwood of Fort Dodge; significant other, Drenda Langfitt and children Kurtis, Kristen, and Karlan of Lohrville; siblings, Mark Powell; Vern (Sue) Powell; Cindy (Mitch) Summers; Tina (Mike) Wuebker; and many aunts uncles, cousins, nieces, and nephews. He was preceded in death by his father, Vernon Powell and sister, Linda Scott.